CustomLinc is a leading provider of enterprise software and logistics solutions for rail transport operators. The primary focus is supplying systems for long-haul and tour oriented services, and we are able to offer a complete operational platform that has been specially designed to maximise the efficiency and revenues of our clients’ operations. The company’s industry expertise and line of powerful enterprise-class solutions mean it is uniquely positioned to assist in the management and organisation of multi-step, multi-asset and similar complex tour configurations. CustomLinc is a comprehensive tool that is able to facilitate the easy and efficient organisation of almost every aspect of rail operations, including ticketing, reservations, logistics, third-party integration, point of sale, rostering and seating plans. The integration of smart platform technology enables the software to be tailored to operators’ individual requirements, ensuring that clients are able to make the system their own as their businesses develop and grow, updating in line with their service portfolio. Our management software platform is a future-proof investment that is able to adapt to changes in requirements quickly and efficiently. All of CustomLinc’s enterprise-class software solutions are capable of managing high-volume and high-complexity products. They can be customised to suit the specific logistical needs of the intended application, delivering a powerful, comprehensive toolset for managing bookings and day-to-day business operations. Our software system provides clients with the ideal platform to serve their customers quickly and efficiently, while also offering hassle-free management of asset availability and staff rostering. CustomLinc’s team of developers has been assembled over a long period of time to ensure staff are well-equipped with the highest possible level of capability and customer service. CustomLinc’s serviceability reaches far beyond that of a simple ticketing system, and the software has been carefully developed to ensure that its many operational factors come together into one powerful, cohesive and complimentary process. This focus allows it to deliver efficient, streamlined functionality in many areas within a single versatile platform, while also ensuring low overhead costs for training, setup and related infrastructure. The platform provides users with a marketplace connection to thousands of online agents, and is equipped with a range of supporting features such as integrated accommodation and rostering management utilities. The platform is also equipped with logistics capabilities for handling complex product setup operations, and offers a consolidated management mechanism for product packages, assets and seating plans. Additionally, CustomLinc includes an easy-to-use point of sale payment platform to facilitate quick and efficient retail, bar / café, on-site and mobile transactions, as well as direct online and frequent traveller booking activities. 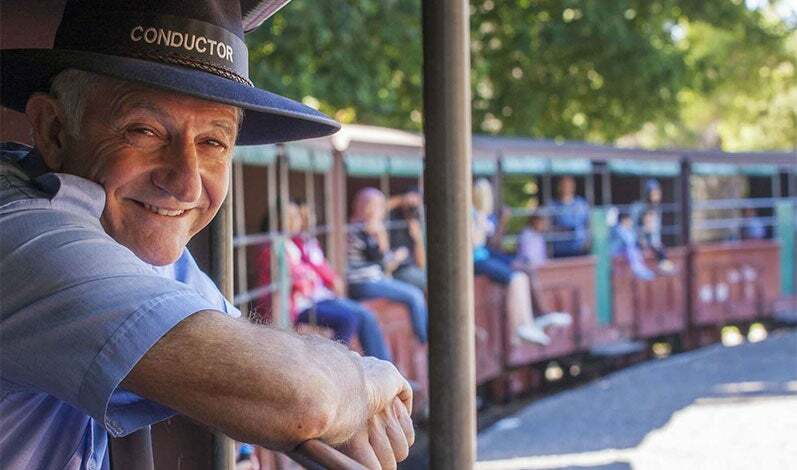 Many of CustomLinc’s personnel have a background in operational roles within the tourism sector, which means they possess valuable hands-on insight into what it takes for rail companies to operate at a consistently high level. We are able to provide expert assistance with a wide range of tasks and functions, from the challenges presented by availability management and organising multi-day itineraries, to creating new product lines and making the most of the opportunities presented by selling online. The CustomLinc platform was originally built in 2000 after an Australia-based tour company wanted to produce a booking system with built-in logistics capabilities. This initial project proved to be a success and other tour companies soon began to recognise the software’s unique, first-in-industry benefits. Today, the CustomLinc solution continues to update and advance its range of capabilities and has been deployed by a wide range of companies and rail operators worldwide.